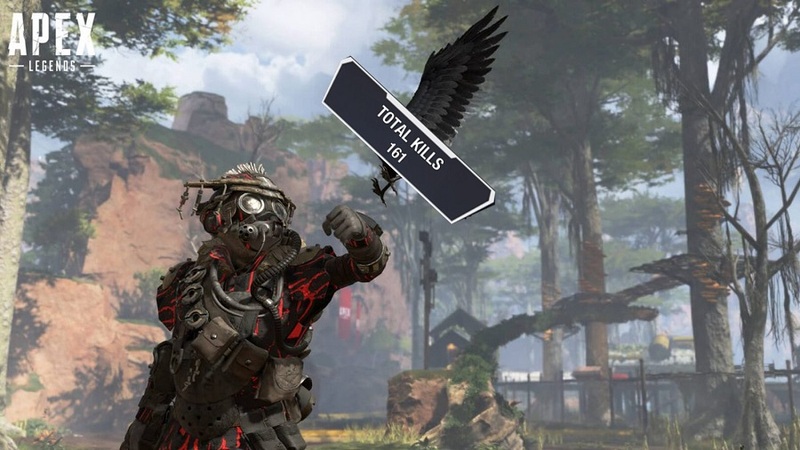 If you are looking for a way to see your stats in Apex Legends, this guide will help you. 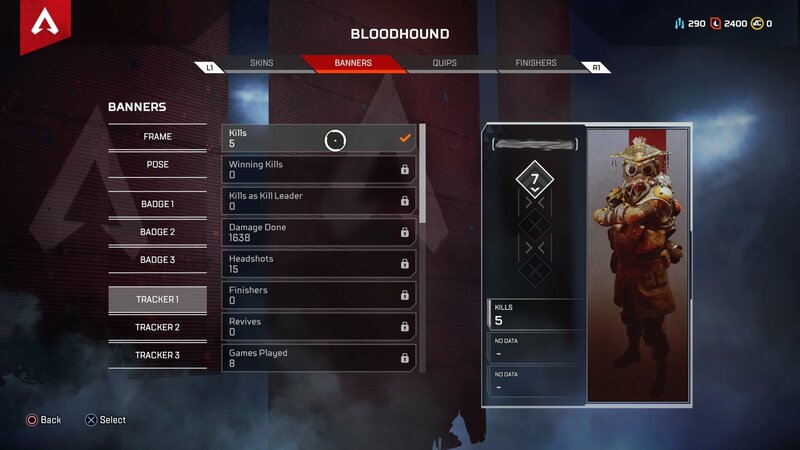 To see current Apex Legends stats, go to the "Legends" tab and select character. Then select the "Banners" option and scroll down until you reach "Tracker 1", "Tracker 2" and "Tracker 3" in the left column. Here you can see stats of your currently selected character. Only one stat is automatically unlocked for each legend. Unlocked stat seems to be tied to the character type. There are 20 different stats that players can see on each character. Three of which differ for each legend and are considered Rare unlocks, i.e. they cost 60 Crafting Metal each. The rest have cost of 30 Crafting Metal. 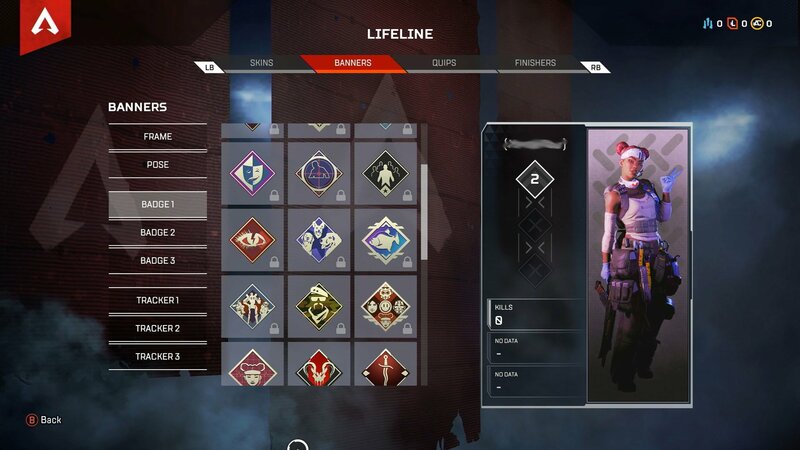 Tracking stats can be unlocked by opening Apex packs. 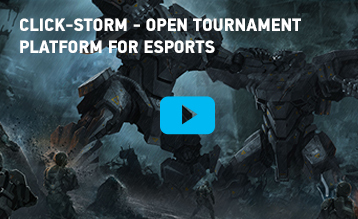 As soon as the tracker stat is unlocked, you can equip them to your player card in one of three slots. After that, everyone can see them. Again, these trackers are tied to a single character, you can't use them for other legends. Game developers didn't add stats tracker for your overall account. The only common "stats" that apply to all characters are badges. They track your achievements, but not necessarily your technical stats.